I fupping love these. And yes, I’m aware a facial cloth is an odd thing to have on a “lust list”, but bear with me. At a fiver each, they’re not massively cheap, but they’re huge, and soft, and give a wonderful cleansing experience. 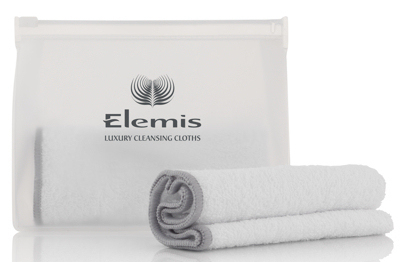 Somewhat thinner (but not by much) than a regular face cloth, and much bigger in size than my Washi cloths, these really are the most luxurious cleansing cloth on the market right now. I like them so much, after trying the one that came with my sample of the Elemis Collagen Cleansing Balm, I immediately rushed out and bought eight more, so I would never be without one! Increasingly, I find muslins too scratchy for my elderly and sensitive face, and these are a perfect replacement. Yes, I went out and bought face cloths in bulk. You may think that’s sad, but my face is happy! You can get them from Time to Spa at £10 per pack of two. The Fine Print: Purchases, after an initial PR sample.